This is a list of our Authorized Distributors around the world, countries are listed alphabetically by region. This list is updated periodically, last update on March the 6th, 2018. 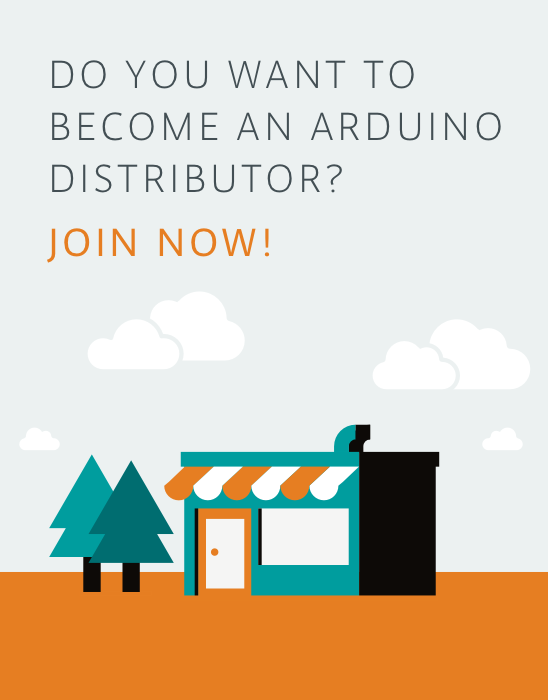 For information about our product-line, see the Arduino Products Page. Do you want to buy directly from us worldwide? Visit our Official Store! Circuitects Electronic Solns Pvt. Ltd.
RAJGURU ELECTRONICS I PVT. LTD.
Int-el San. ve Tic. Ltd. Sti. Innoesys Innovative Embedded Systems P.C. AG ELECTRONICA, S.A. DE C.V.